The end of 2015 brought the sad news of the deaths of two important figures from English football, Don Howe and Jimmy Hill. 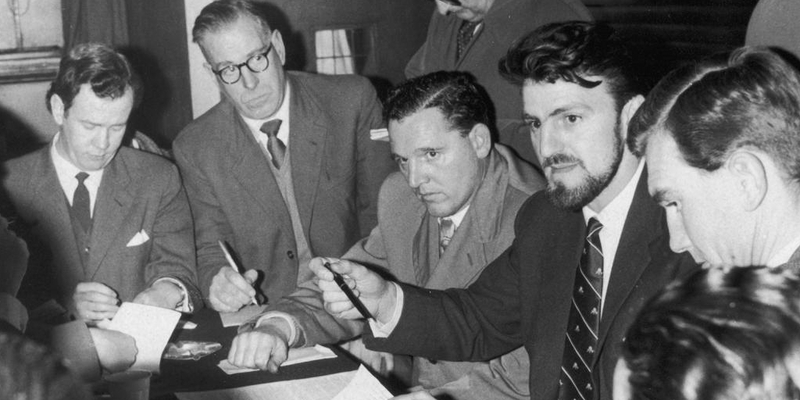 Both were football activists in the late fifties and early sixties, bringing about changes in working conditions for professional footballers, with Hill going on to influence the game for decades after. In our first podcast of 2016, Graham, Terry and Jan look at these men and their peers and discuss how their actions, for better or worse, brought about modern football. We also look forward to ponder who the next generation of footballing activists will be, and what battles they'll be fighting.